As Italian ports break beyond 10 million cruise visitors annually, local port authorities have not only been looking at the opening of new cruise piers, but also adding new cruise ports. We have a preliminary look this week at the cases of Fiumicino, near Rome, and Port of Stabia, near Naples. In New York, meanwhile, the Manhattan Cruise Terminal will undergo some modifications in preparation for greeting the Norwegian Breakaway in April 2013, when she arrives from Southampton to become the largest New York-based year-round cruise ship. Elsewhere, Louis Cruises has announced that it is going back to its Greek routes to become a specialist in the eastern Mediterranean. And Fred. Olsen Cruise Lines announces that it will punish agents who rebate from their commission rather than those who manage to hold on to most of it and give a good service, as was the case last year with P&O, Princess and Cunard. Two New Cruise Ports For Italy? Last week, we noted that projections by Genoa’s Cemar Agency Network indicated that 2012 should end with 10.75 million passengers visiting Italian ports. 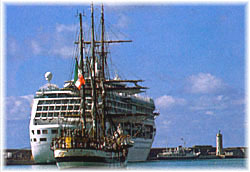 Despite the fact that ships are getting bigger and the average numbers carried is increasing, the growth of cruise ship calls at Italian ports in recent years has led to increasing congestion in Italy’s major ports, which now include Savona, Genoa, La Spezia, Livorno, Civitavecchia, Naples, Messina, Palermo, Venice and Trieste. One potential solution to this problem is a cruise ship pier reservation system called the Unified Mediterranean Berth Booking and Confirmation Process. This voluntary system has recently been developed by Medcruise, based on the system successfully used at the Port of Barcelona. Under this scheme, cruise lines are asked to make berth reservations about 14 to 18 months in advance, and ports commit to responding within a month. Another potential solution to cutting back on congestion, however, is entirely new cruise ports, and plans are now under way to open two more Italian cruise ports, at Fiumicino, near Rome, and Port of Stabia, near Naples. At the Port of Rome, which is really Civitavecchia, future plans call not only for two new 500-metre berths at Civitavecchia, but also for two new cruise berths in the port of Fiumicino. Not only does this location have the advantage of being close to Rome’s main airport but it also offers the possibility of direct access to Rome by riverboat up the Tiber River. 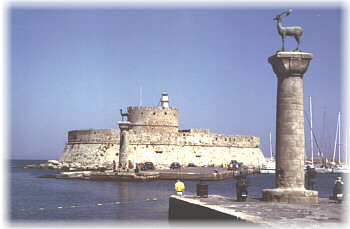 Until now, the port of Fiumicino has been primarily known for its ferry service to and from Sardinia. Further south, Castellammare di Stabia, or Port of Stabia, as it is to be called, is located thirty kilometres southwest of Naples on the way to the Sorrento coast and close to Pompeii. Among other things, Castellammare is known for being the birthplace of Gabriele Capone, father of American gangster Al Capone, but it is also located in a prime tourist area on the Bay of Naples, well within view of Mount Vesuvius, which destroyed the town in 79 AD, complete with its own Roman ruins. It is sometimes forgotten that before the Queen Mary 2 transferred to her new New York base at the Brooklyn Cruise Terminal in Red Hook, she made a number of calls in Manhattan. Manhattan had in fact been Cunard Line’s traditional New York base since the first call there by the 1,422-ton Hibernia in 1845. In 2013, Norwegian Cruise Line’s 4,000-passenger Norwegian Breakaway, a ship very near to the size of the Queen Mary 2, will become Manhattan-based year round, with a series of twenty-two 7-night New York-Bermuda cruises by summer, New York-Bahamas and Florida cruises by autumn and and New York-West Indies cruises by winter. To accommodate Norwegian Breakaway’s size, an additional $4 million will have to be spent to upgrade and modify the gangways and fenders of the Manhattan Cruise Terminal. Norwegian Breakaway’s arrival in April 2013 on a Transatlantic voyage from Southampton will in fact mark the tenth anniversary of the 2003 arrival of the 2,244-berth Norwegian Dawn (since expanded to 2,476 berths) to become Norwegian’s first year-round New York ship. 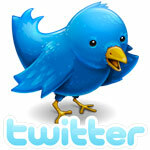 This January, Louis Cruises engaged Kyriakos (Kerry) Anastassiadis as its new ceo. Anastassiadis, raised in South Africa, has a postgraduate degree in market analysis and advertising from the University of Witwatersrand. New to cruise, he has acted as general manager, ceo or president for a number of multinationals such as Coca Cola, Procter & Gamble and Polaroid in countries that include Italy, China, the UK, the UAE and Greece. Anastassiadis told journalists at Cruise Shipping Miami earlier this month that Louis Cruises “had decided who it was” and was going back to its roots as a Greek operator specializing in the eastern Mediterranean. This is more based on cruising roots that go back to Sun Line, Epirotiki Cruises and Royal Olympic, the last Greek cruise ship owner actually to build new ships, than to its hotel roots as a short-cruise operator from Cyprus, albeit on the Greek side of Cyprus. The recent trade of Louis Majesty to Thomson Cruises as Thomson Majesty will see the Thomson Destiny return to Louis Cruises next month under the new name of Louis Olympia, to operate 3- and 4-night cruises from Piraeus alongside teh 7-night Louis Cristal, while Orient Queen will sail from Limassol. 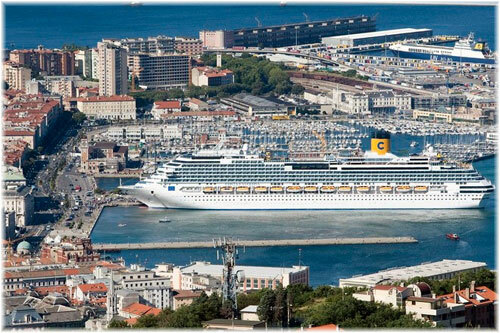 Outside the eastern Med, Louis still has an interest in the Marseilles cruise terminal, from its time operating cruises from Genoa and Marseillles. The line also has two ships in lay up which it could reactiviate given the right market growth in the eastern Med. Louis Cruises’ main restaurant menus will soon be realigned to take more advantage of typical genuine Greek cuisine instead of international fare. In outlining these changes, Anastassiadis confirmed that most of the line’s clients come from North America, followed by Germany and the UK, and that they are looking for a genuine Greek experience. New this year, guests on the Louis Cristal can also experience the sights, sounds and tastes of Greece and the Greek islands with a new a la carte dining option that features Greek cuisine. Her “Thalassa” restaurant is owned and operated by renowned Greek celebrity chef and restaurateur Christoforos Pesk, and features traditional Greek and Cypriot fare. Open for dinner only, passengers can enjoy this alternative dining option for $29 each. As Mark Tré reported in this column in February last year, Complete Cruise Solution, Carnival UK’s trade marketing arm for P&O, Cunard and Princess in the UK, announced that it would be cutting travel agents commission to 5% across the board in 2012. This it duly did, and despite anecdotal evidence that many agents no longer actively sell its brands, Complete Cruise Solution has announced that its 2013 terms will be the same. This policy was implemented in an effort to stop the rebating of commission by travel agents, a particularly pervasive disease in the UK, and meant a drop from the standard 10% or 12.5% to 15% commissions that high volume producing agents earned, to just 5%. For agents who had not been giving away the store this meant a loss of more than half of their revenue. 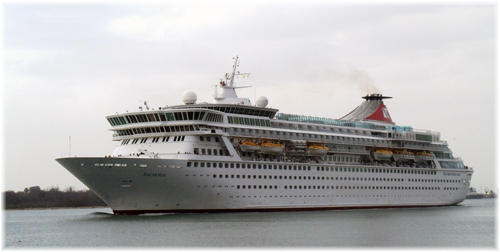 Other cruise lines, including P&O competitor Fred. Olsen Cruise Lines, held to the standard rate of commission being 10%. The line’s passengers, meanwhile, still get 5% off if they are previous customers and 5% off for booking on board, as well as whatever tactical reductions the line might decide upon from time to time. The effort by cruise lines to cut rebating is positive in three ways. First, it stops the cruise product itself being brought into disrepute, and looking like some bargain basement item. Cruising is fantastic value without having to be sliced down to the last percentage point in a round of calls to agents that is totally unproductive and a complete waste of time. The same people calling many different times to ask the same question. In some cases, this wasteful activity was created by the cruise lines themselves, when they encouraged their own clients to “phone around” for the best deal. Clients will now be able to pick their agents based on location, service and the value they add to the cruise product, rather than take away. At least Fred. Olsen has decided to punish those who give away the store rather than those who try to stay in business. It is only eight months after all since the UK’s third largest cruise retailer, Gill’s Cruise Centre, went bankrupt, and earlier this month both 1st4cruising and Voyana Luxury Cruising were closed after their parent company ceased training. In this case, jobs were lost at both companies but the brands were picked up by another operator who was last week advertising for up to 100 new staff.